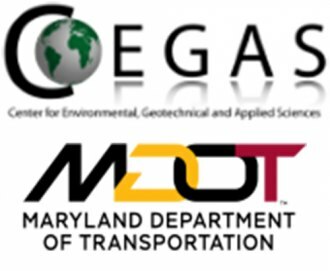 Coordinated by Marshall University’s Center for Environmental, Geotechnical and Applied Sciences (CEGAS), this year’s forum is hosted by the Maryland Department of Transportation. Members of the Appalachian geohazards coalition meet annually to share information about research developments and projects related to rock falls and landslides along highways, hazard-prone areas affecting transportation infrastructure in the region. Utilization of instrumentation and unmanned aerial vehicles (UAVs) will also be covered. Coalition members represent the U.S. Army Corps of Engineers, Norfolk Southern Corporation, the Federal Highway Administration, and the departments of transportation and state geological surveys in Kentucky, Maryland, North Carolina, Ohio, Pennsylvania, Tennessee, Virginia, Maryland and West Virginia. This year’s event will include a pre-conference field trip to the former Allied Chemical Chrome Processing Plant under site development that includes pipe pile construction; and the Dundalk Marine Terminal with the Maryland Portal Authority to review ground stability issues. The field trip and forum will be of interest to geologists, geotechnical engineers, environmental scientists, planners and others interested in geohazards. For more information, contact Szwilski by e-mail at szwilski@marshall.edu or by phone at 304-696-5457. Also, see www.marshall.edu/cegas/.